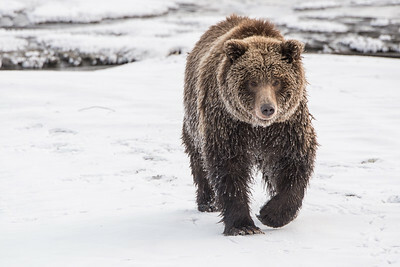 The unique story of grizzly bears in the Yukon who delay their hibernation into early winter due to the opportunity to feed on a the late chum salmon migration. 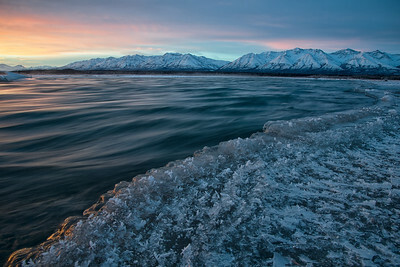 The Kluane River at freeze up. 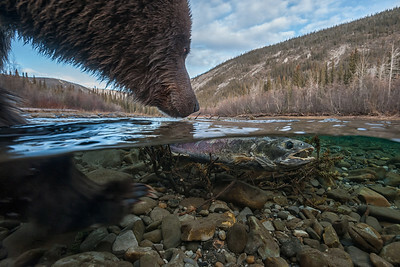 Chum salmon migrate a thousand miles to spawn and die in the Kluane River and its' tribuataries, creating a biological hotspot that attracts wildlife from all over. 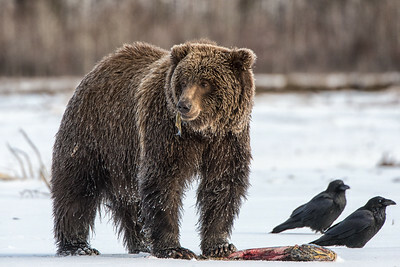 Chum Salmon and Grizzly Bears in Fishing Branch Park, Yukon, Canada. 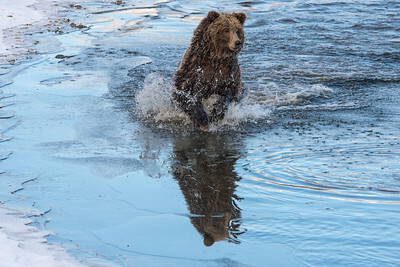 Known as ice bears, because they fish for salmon in early winter and get covered in icicles. 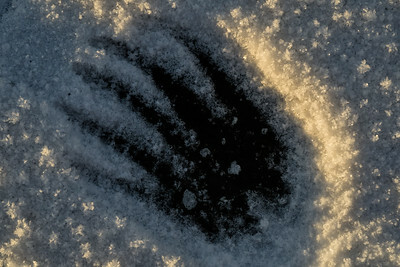 Bear Cave Mountain eco-tours. 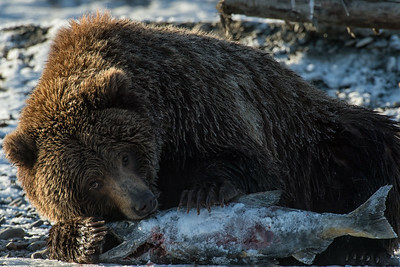 The salmon have migrated over 1500 miles up the Yukon, Porcupine and Fishing Branch River. 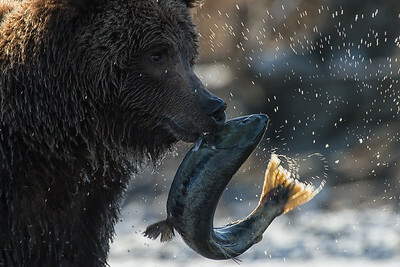 A young bruin, holds a salmon by the skin of its' teeth while looking for a second. 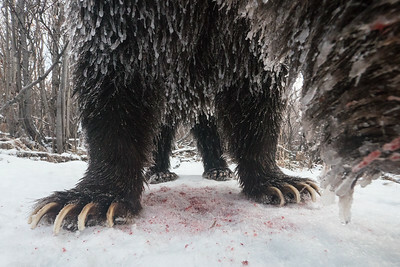 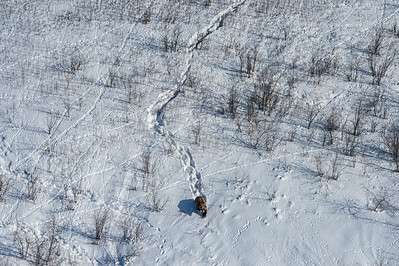 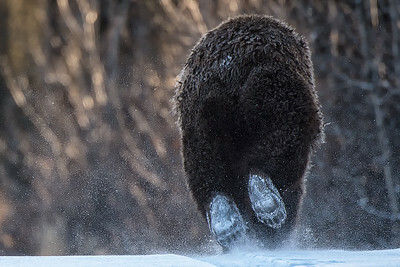 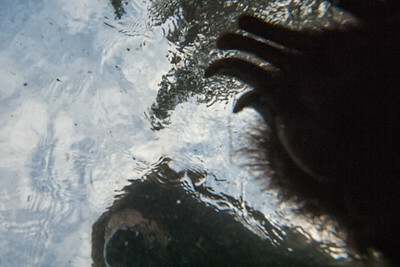 The grizzly bears near Bear Cave Mountain are famously known as "ice-bears". 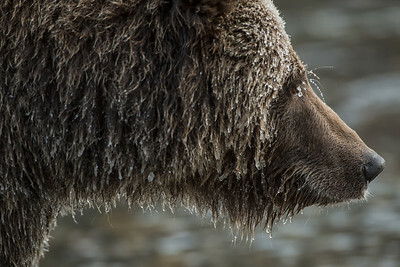 When fishing for salmon in temperatures below minus 20 Celsius, the water quickly freezes to their hair and creates an icicle covered grizzly. 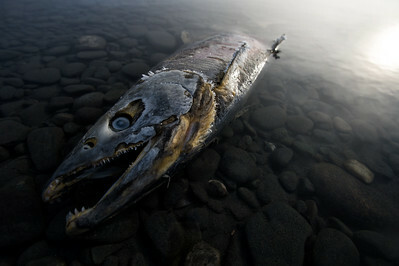 A chum salmon, with an ice mask, has spawned and died in the waters of the Kluane River in North Yukon. 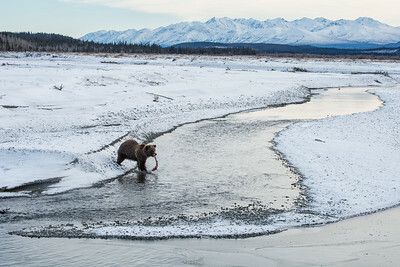 The chum salmon migrate over 3,000 km up the Yukon River and into the Kluane river before spawning and dying. 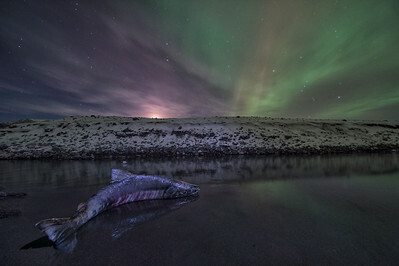 A chum salmon stuck in shallow water under the northern lights on the Kluane River in North Yukon. 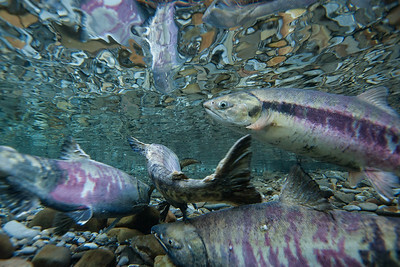 The chum salmon migrate over 3,000 km up the Yukon River and into the Kluane river before spawning and dying.